The first day of spring is just in time for Mother’s Day so why not give Mum the best gift and help her out with one of the most dreaded tasks of the year? Spring Cleaning. We’ve put together some top tips for if you’re thinking of either giving Mum a hand with the cleaning or if you’re thinking of cleaning your own home. From top to bottom doesn’t just mean starting from the top rooms and working your way down your house, it also means working from the top of each room down to the floor. Starting from the top of a room means that you won’t be doing twice the work. If you were to start cleaning the floor and then move onto the ceiling, you will most likely spread dust around the room ruining the work you’ve just done. Keeping the windows open while cleaning not only allows fresh air in, it also allows any chemical smells to escape. While cleaning your home you will use a number of different cleaning products, with many of them having a strong smell. Masking these smells with something else might seem like a quick fix, but it will just make it worse. Having the windows open also lets fresh air in and gets rid of the stale winter air. Spring-cleaning doesn’t just mean polishing your house, it can also mean decluttering and freeing up space. Getting rid of unwanted items that are taking up space is a great way to make your home appear cleaner. Every house has at least one clutter hotspot; where all the items seem to join together to create one giant mess. Once you have begun decluttering you will soon see a vast improvement in the way the room looks. Sometimes it is best to be in the right mood to make decluttering effective. If you’re feeling a little sentimental when you start decluttering, then you won’t be able to part with the items you probably should part with. Giving your home a thorough clean will allow you to see anything that might need repairing or replaced. Having broken appliances or cracks in the house can make your home look messier than it really is. Sometimes it is better to replace an item than to clean and repair it, especially if the items are old. You might find that some damaged items aren’t even worth replacing or repairing, so you might as well get rid of them and make way for something else. No matter how big or small your home is, there will always be too many tasks to keep track of when it comes to spring-cleaning. Creating a checklist will allow you to keep track of what needs to be done and what has already been done. To make things easier you can break your list down into different sections. These sections could be broken down into rooms or into importance. Breaking tasks down can also make the whole process look less daunting and a lot more manageable. 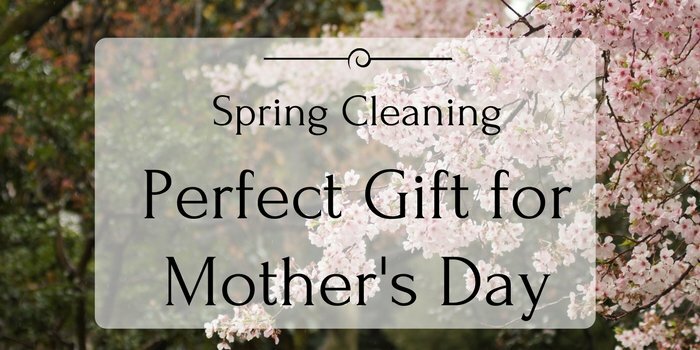 Helping your mum with the spring cleaning might not seem like the most special of gifts to give her this year, although we are sure that she will be incredibly grateful. There is also the possibility that she will appreciate it a lot more than if you were to buy her expensive jewellery. Renting a storage unit gives you the option to clear out some items and make more room in your home. This will then allow you to thoroughly clean your house and get to all the spaces you might not have been able to before.